New Dungeon Ghyll - Carshare League Counter. One of the classic AS courses. No hint of any flags, and even when clear like today, a compass is needed, and even a map. Not having a map seems to have caused a problem to plenty of runners. The rain kept clear, giving us a sunny wait afterwards outside the hostelry, as good as it gets. No doubt our illustrious League Organiser will provide more details. Results. West Nab:- all Seniors and Juniors results. Kong Mini MM - Round 2 - from Coniston. Results. Blubberhouses 25 - an event which was in the FRA Calendar last year, but not now....25 miles of good stuff around Wharfedale moors. 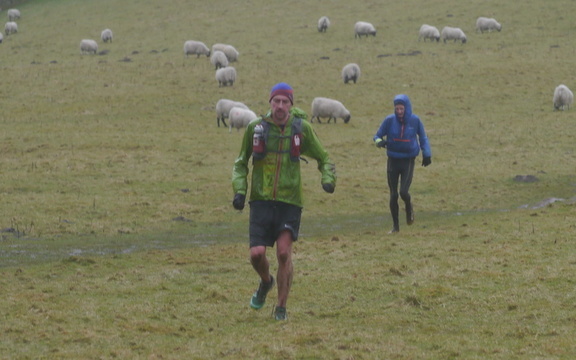 Summer Series 1 - Back Tor and Beyond:- results. Tuesday - Bunny Run 1.